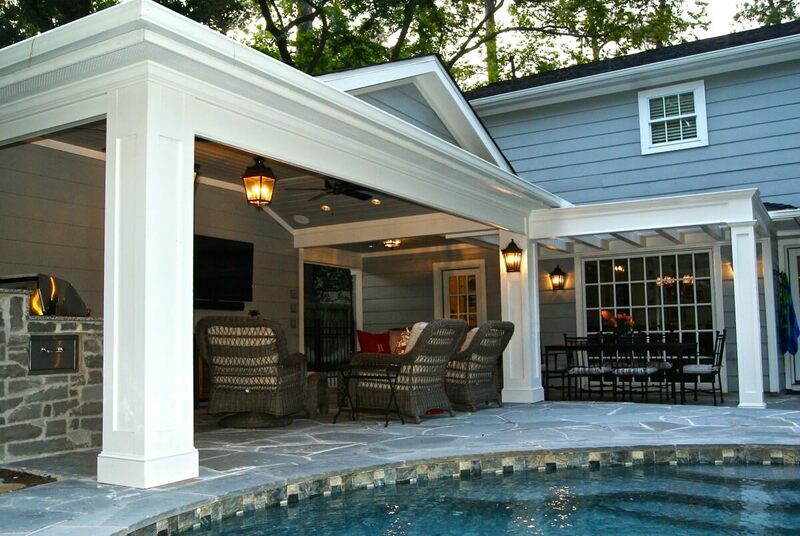 The limited space in this backyard dictated building the patio cover off the detached garage. The breezeway was rebuilt to provide great coverage out the back door to the outdoor living space. The project was painted to match the home, including the secondary trim color. The flooring is flagstone. A hip roof with a small gable feature provides an inviting elevation when viewed from the pool. The vaulted tongue & groove pine ceiling was painted to match the siding on the garage. Recessed can lights, fans and other decorative lighting highlights the great addition. 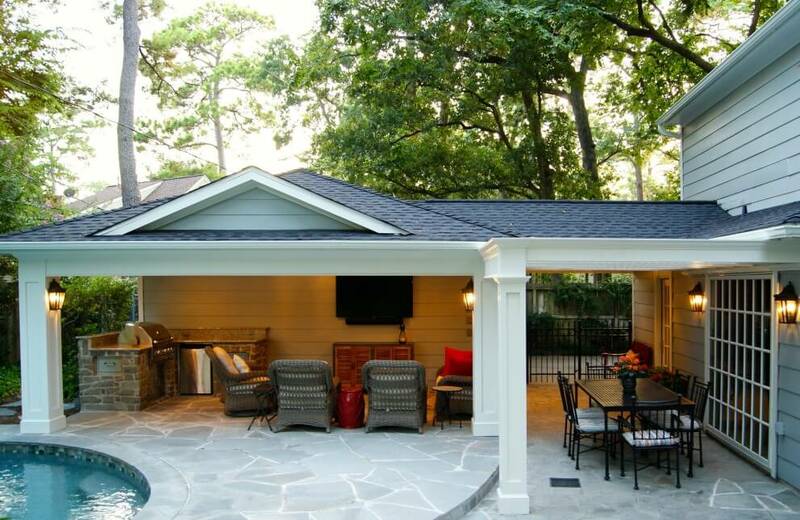 The television and surround sound make this patio the place to be during football season. The L-shaped kitchen was oriented to provide maximum space under the cover for seating and entertaining. The kitchen was finished with a veneer stone and granite counters. A pergola was built off the back of the home to create a shady dining space.